I think we need to have a discussion of exactly what exactly we are saving Hader and Jeffress for at this point. What the Brewers should be saving them for is “right now.” There are 39 games to go, the Brewers have plenty of off days upcoming, and in 13 days rosters expand, allowing the Brewers to add more arms to their arsenal. The Brewer are currently facing the division and wild card rival Cardinals, and will shortly face the Pirates. The time for being conservative with the club’s big guns is past. Last night (August 17th, 2018) was an absolute travesty as Craig Counsell allowed Jordan Lyles, who is bad and has a career 5.35 ERA, to pitch multiple innings in a one run game. In his second inning of work after the offense managed to claw their way back to a single run deficit, Lyles would load the bases on a single, a hit batsman, and a walk. Kolten Wong would cash in with a 2-run double, and the game was essentially over. Leaving in Lyles to face the heart of the order was questionable to begin with, but once Jose Martinez singled it was almost certainly time to go get him. Once he plunked Dejong it was definitely time to go get him. Once he walked Jedd Gyorko alarm bells should have been going off in the Brewer dugout. I’ve had several discussions about win probability in this game, with several people citing the fact that the Brewers were likely to lose the game anyway in defense of the idea that a good pitcher should not be wasted. I find this idea preposterous for a few reasons. First of all, if a club can get to the top of the 9th inning down by a run, they have roughly a 15 percent chance (about ⅙) to come back and tie the game, and about an 11 percent chance of winning outright. That’s a longshot, but it’s hardly hopeless, and teams routinely rally from one run deficits. Bud Norris is hardly a “lights out” closer. If you give your opponent a 3-run lead your odds plummet to between 2 percent and 3 percent, or 1/50. Wong is a left-handed hitter with substantial platoon splits, and retiring him without allowing a run would have boosted the team’s odds from hopeless to pretty good. Outcomes with a 10 percent to 15 percent chance of occurring happen all the time. But even if you didn’t want to use Hader, surely Dan Jennings, a lefty who hadn’t pitched since August 15th, would have been a better option than Lyles who, for his career, allows an .822 OPS to lefties. Punting on a game that the Brewers will win 1/9 of the time is inexcusable at this point in the season, and doubly so when you consider that a win by the Cardinals draws them a game closer to the wild card spot. The Brewers didn’t just flit away an 11 percent chance at a win, they also flitted away an 11 percent chance at causing the Cardinals to suffer a loss. And what did they gain by having one of their worst relievers pitch an extra inning? Not much. Jeremy Jeffress, who is perfectly capable of pitching on back to back days, hasn’t pitched since the 15th. He joins Dan Jennings, who can seemingly pitch every day if you want him to. Hader hasn’t pitched in a week, last facing the Braves for two innings and 29 pitches on August 11th. Oh, and Corbin Burnes also hasn’t pitched since the 15th. If you are so very concerned about the game on August 18th, even if the team used Hader on the 17th, they would still have at least three quality relievers on at least three days rest. If you can’t manage a close game with such a well-rested bullpen, you frankly don’t deserve to be a manager. Given the stakes, given the fact that everything was doubled by virtue of the opponent, and given the fact that no good relief pitchers had pitched in forever, there was no reason to let Wong put the Brewers yesterday. 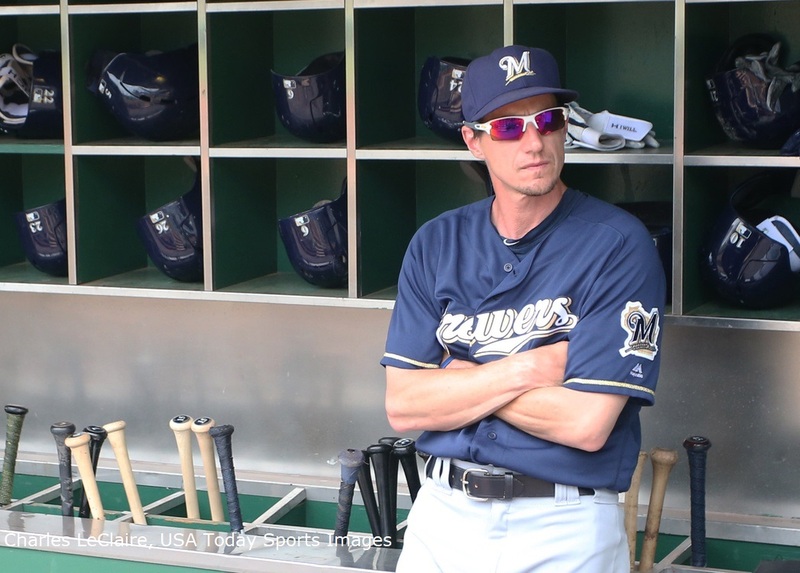 The race is close and if Counsell was managing reliever useage for the stretch run, it would be nice if someone would alert him that we have arrived at the stretch run. Hader and Jeffress are on pace to pitch 76 and 73 innings respectively. This is not an onerous amount, and given that much of Hader’s work actually took place in April, it’s more likely that he pitches under 70 innings for the year than over 80. By restricting him to games with leads, they’ve cost themselves wins while saving him for games that never occur. It’s likely at this point in the season, that those will cost them a playoff spot.